What you see is what you get, and that’s not changin'-we promise, it will only get better and better. 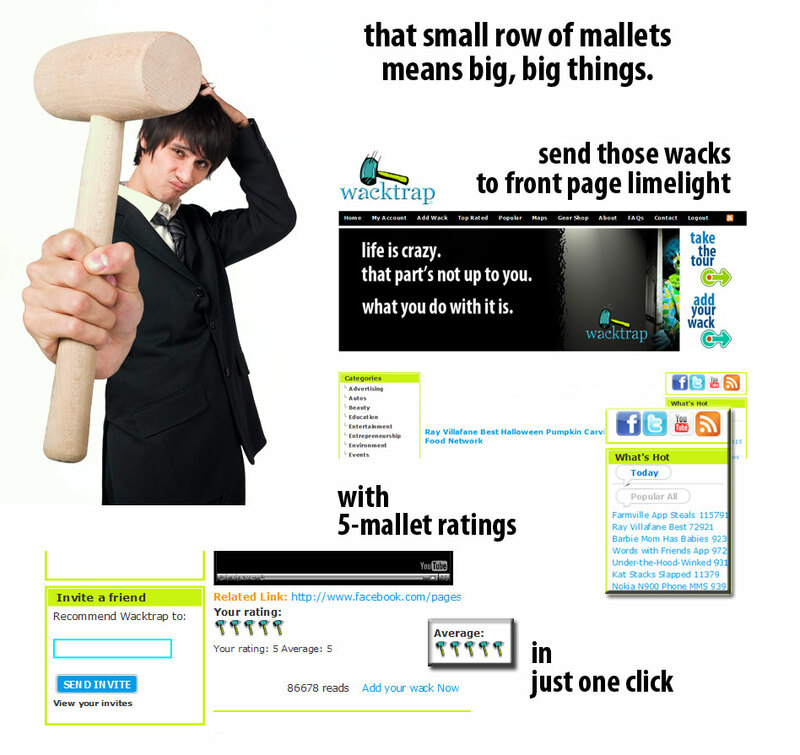 We know you’re going to like Wacktrap so much you may never want to log off, so you won’t be needing a trial membership. The Wacktrap Account you're experiencing now is free, and stayin' that way. We’re always working on new stuff-and that includes new ways to continually enhance your experience here. In fact the Wacktrap team is diligently working right now, to develop specialized and advanced service options-and future developments-which we believe you're gonna like. Some enhancements you may not notice. Which means we're doing our job. Some stuff you will notice. Yes, the Wacktrap Team is working on some new fancy features and developments. We believe in staying ahead of the game that way. Future developments, like special access to certain parts of the Wacktrap site, we'll be rollin' out along the way. When we make those announcements, you decide whether those options are right for you. We will be offering optional paid access to specialized VIP areas-just think of it as the rooms beyond the rope. But don't worry-we won't be taking any of the good stuff you enjoy now. We'll keep you posted along the way, as to major changes-and exciting new stuff in the works.